‘Tis the season to be jolly, Fa-la-la-la-laaaa! 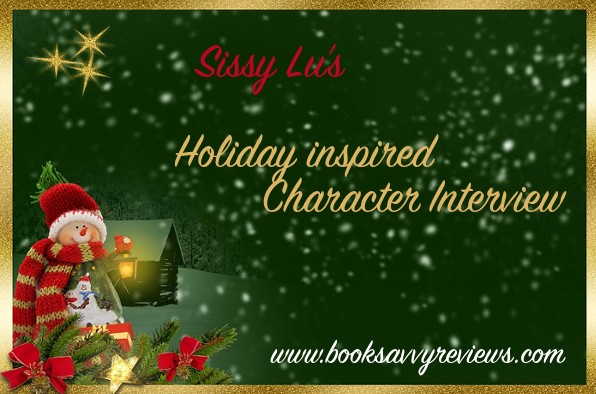 Introducing Sissy Lu’s first festive Character Interview, featuring Dorian Lake from The Dark Choir series by JP Sloan. Grab a cup of eggnog or some wassail, but beware the mistletoe! Greetings, Dorian, give us some small deets below! 1. Hey Dorian! Why don’t you introduce yourself! Tell us who you are and what you do. My name is Dorian Lake, and when I’m not spending scandalous amounts of money on rare liquors and rarer books, I provide a hermetic service for a select Baltimore clientele. For a fee, I can engineer karma… either for you or for someone the System can’t quite get its mitts on. I can’t define the precise effect of my hexes and charms, nor can I nail down when it’ll take effect… but I can guarantee that they work, and that they are free of unwanted karmic blowback. Growing up in Manhattan, my parents were never huge on the holidays. Christmas meant mailing out cards for all my Dad’s clients, and Mom wasn’t exactly what you’d call a cook by any meaningful definition of the word. I didn’t form any strong associations with the holidays until after my parents’ deaths, when I moved to London. I spent about ten years there holed up in a cluttered flat overtop a pub with my mentor, Emil Desiderio. He was a grouchy old Spaniard who sent me to the shops for curry or kebabs each night. But ‘round about Christmastime, he’d order up a proper dinner for us each year. Turkey, potatoes, Yorkshire pudding. But the one thing I remember most fondly (and the one thing I could never find once I moved back to the States) were these tiny mincemeat pies. I thought about trying to make them myself, but I’m lucky if I make scrambled eggs without setting the city block on fire. I keep thinking about joining the Twentieth Century now that we’re a couple decades into the Twenty-First, and getting myself a computer… or at least a smart phone. But my craft manipulates the complex mystery of the written word which, from what I understand from others in the Life, doesn’t mesh well with email. So, I’ll probably splurge for another bottle of aged Islay single-malt. Who arrives early to a party? Are there people like that? No, it was beaten into my brain from an early age to always arrive at such a time that people will notice. Twenty to thirty minutes late, typically. “Late” is never a dirty word (unless you’re talking about the electric bill). Back in London, I cobbled together a group of weekender friends. I suppose kids call them “squads” these days. We were all on a first-name-only basis. After about six years of non-stop hermetic training and month after month of dead languages, I got to the point where I needed some time off. I’d wait until Emil was drunk on sherry and passed out over his books, and crept down to the pub. There was a girl in the group named Genie. I supposed you’d call her my first girlfriend. One Christmas Eve, Emil had knocked out for the night, and I’d made it in time for the annual Christmas Pints party. Genie “caught” me under the mistletoe back behind the bathroom doors. That was our first kiss. I would rather chew and swallow glass. At this point in my life, that depends on who’s there. I’ve had some… unfortunate… experiences in relationships, and I’m not in a hurry to get that familiar with anyone. Unless I’ve had enough scotch, in which case I’d probably kiss Edgar. We don’t get enough snow in Baltimore for it to ever be “normal”. So, there’s always a little magic in those first few snowflakes. But then the morons in the city forget how to drive, and everyone is obsessed with the weather reports and their flake-by-flake updates. I don’t think I’ve ever played in the snow, so yeah… it’s more hassle than anything. If Santa decided to pay my annual dues to the Druid Hill Social Club, that’d be swell. Though I’m not a thousand-percent sure my name’s on his “Nice” list. I buy gifts for Edgar and his family, and that’s about it. And I usually grab it on my way to their antiques store for Wren’s annual Yule party. Chalk me up as the “last minute” type. The Swains are basically my only friends, so I don’t have a huge shopping list. My Dad abhorred the idea of Santa. That’s not because he was a Scrooge type… he just found the whole concept to be annoying. To be fair, it’s probably because Grandpa never bothered with the Père Noël shtick (he’s from France… don’t judge). Once I started my hermetic studies in earnest, I learned more about the origin of Santa in our cultural consciousness as a sort of amalgam of the druidic Holly King presaging the passing of winter, Odin from Norse mythology as judge of good and evil, and even a certain bearded Bishop from Lycia who got the whole thing stirred up in the Christian consciousness to begin with. It’s hard for me to spot a mall Santa without taking a magical mystery tour of western mysticism and morality. But I’m weird like that. Well, outside of my first kiss… there was this time at the Swain’s annual Yule party when Edgar got hammered on Wren’s holiday punch and decided to put on a Santa outfit. He managed the coat, beard and hat. Even got the giant belt buckled before he rejoined the party. However… he forgot the pants. The crowd at those parties are largely Wren’s Wiccan friends, so it played well. I can totally see Edgar as Cratchit. I mean, Dickens positively suffers for lack of loud Hawaiian print shirts. Eddie Jr. could be Tiny Tim. Ghost of Christmas past… I’d let Edgar’s daughter, Elle, take that one. Christmas Present? Totally Big Ben Setleigh, the bartender from the Druid Hill Club. He’s huge, boisterous, and looks like he’s been dying from the same heart attack for the past two years. I’ll take Christmas Future, because I totally rock a black robe. I can’t think about Scrooge without thinking about Emil. He hated everyone. 15. What is your New Year’s Resolution? I really need to get my hex and charm business moving forward, again. Things have been soft these past two years. Not sure why, exactly. Probably just lack of industry, or turpitude, or some other moral failing on my part. My business is in karma. So, when you get out there this holiday season, bear in mind that everything you do comes back around. It’s a holiday steeped in traditions that go back well before Christ, to a time when mankind huddled together in the growing darkness of the winter, depending on one another simply to survive when Mother Nature herself seems to have abandoned us all. It’s a time for charity, and a prime opportunity to freshen up your karma. So, instead of getting into it with your racist uncle over the Christmas turkey, or shoulder-checking your fellow man for the flat screen door-buster… consider your karma. And consider charity. It’s the most powerful tool we humans have, mundane or magical, to keep the darkness at bay. That, and a properly crafted Solomonic Seal. Ho Ho Ho, did you know all of that about Dorian? Bet you didn’t. Be sure to check out JP’s page as well as social media to ensure you are up to date on Dorian and the rest of the crew! Fantastic answers! 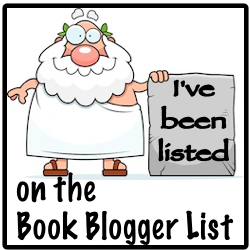 Thanks so much, JP, where can readers find more about you and your books? About J.P. Sloan: J.P. Sloan is a speculative fiction author … primarily of urban fantasy, horror and several shades between. His writing explores the strangeness in that which is familiar, at times stretching the limits of the human experience, or only hinting at the monsters lurking under your bed. As Dorian descends into the shadows of Baltimore’s underworld, he must decide how low he is willing to stoop in order to save Carmen from eternal damnation… with the Presidium watching, waiting for him to cross the line.